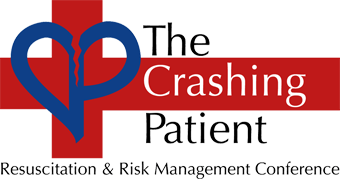 We are excited to offer additional education opportunities prior to the start of The Crashing Patient! Conference. Below is a list of pre-conference symposia and workshops, all are offered as optional stand alone courses and can be registered for individually. Faculty will be offering two opportunities in the morning, and two opportunities in the afternoon. Advanced ECG Workshop: Dysrhythmias to Die For! *All workshops have limited number of spots available. Waiting list will be kept once workshops sell out. When workshops are full, the Conference Director and faculty will assess and see if they can offer additional courses. Please contact the Conference Coordinator with any questions about the schedule or courses offered. We are excited to offer additional education opportunities during our post-conference program. Below is a list of workshops scheduled for the Thursday following The Crashing Patient! Conference, all are offered as optional stand alone courses and can be registered for individually. Faculty will be offering one opportunity in the morning, and one opportunity in the afternoon.